Dr Kelly completed his medical degree at the University of Western Australia, following which he worked at Sir Charles Gairdner Hospital in clinical roles. He went on to complete a Masters of Business Administration and a Masters of Public Health and took on senior management roles in Western Australia including as the Chief Executive of the Women’s and Children’s Health Service and subsequently the South Metropolitan Health Service. Dr Shane Kelly was appointed Group Chief Executive Officer of St John of God Health Care in June 2018. Before joining St John of God Health Care, Dr Kelly was Group Chief Executive Officer of Mater Misericordiae in Queensland and prior to that he was Chief Executive of the North Metropolitan Health Service. 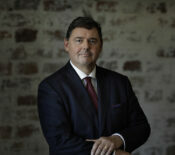 He also spent more than eight years as the Chief Executive Officer of St John of God Subiaco Hospital.